BennyWA wrote: So what tracks are camper trailer friendly in the high country anyway? We haven't been up there at all yet and time is running out!! Gday Benny, The tracks are closing this weekend but I'm guessing you new that. You could head into the King River out of Mansfield, or over to Bindaree Hut with your camper and up to Bluff Hut, If you check out issue 4 and 7 of the Camper Trailer Touring mags I have articles covering these areas. What type of camper have you got, As long as it has brakes fitted and your well prepared do some research and you should be ok, If you have any areas in mind mate I'll try and help you out. D'oh, missed out then! I have an offroad GIC camper with mechanical brakes. What about out Bonnie Doon and Eldorado way? BennyWA wrote: D'oh, missed out then! I have an offroad GIC camper with mechanical brakes. What about out Bonnie Doon and Eldorado way? 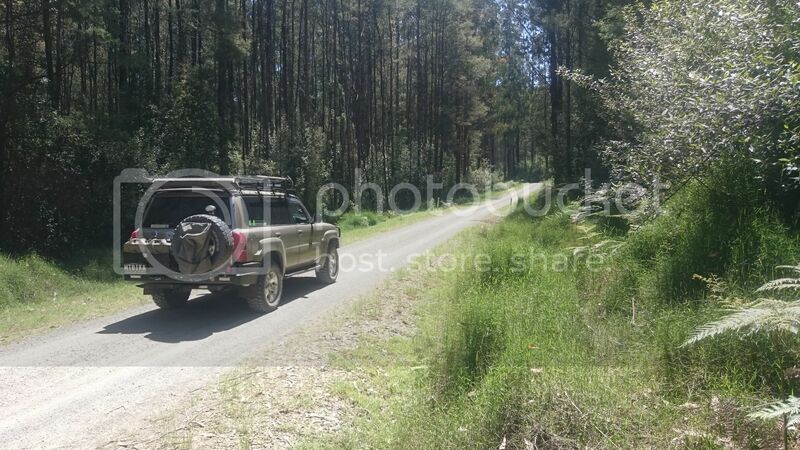 If your're not leaving until fed mate, you could head out after cup weekend that when most open up again, Get on the MySwag.org The Off-road Camper Trailer Forum - Index forum there is a trip for vic members coming up to just out out of Mansfeild in a few weeks. Check the Trips and Touring section, I'm GU Rich on that forum, tell them I sent you there!! I'm not going to be able to make that trip this time though. Ah, sweet, I am a member there already! Cheers Rich! One from the archives. Just spent plenty of time checking this thread out. Do you still have this GU? I have seen plenty of it in mags and stuff. The trip reports are real good. One day I'd like to have something like this. Nearly 9 Years and 330k later I still have the GU. It has taken us all over the country! That would be awesome mate, it would be good to catch up it sure has been a while!